I have never heard of the Zagato-designed Perana Z-One, but one is for sale now. I have seen its guppy-looking face and it’s lovely two-tone curves and we’re going to talk about it. The rare Perana Z-One is a Zagato body gently bulging around what is mostly a C6 Corvette, which means the 426 horsepower 6.2-liter LS3 and a six-speed automatic transmission are along for the ride. 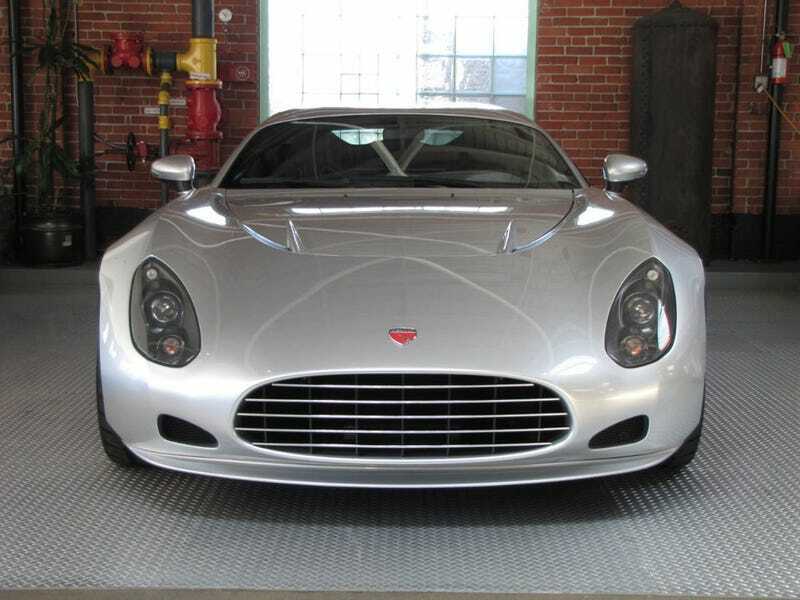 As Carscoops accurately points out, the Z-One is very clearly just Zagato re-purposing the design elements of the super rare Zagato Ferrari 575 GTZ, which is somehow extremely similar and simultaneously way uglier than this. This 2012 model is super rare because the name of the car shifted shortly after production began due to a new partnership between Perana Performance and AC Cars Group, with newer cars renamed the AC 378 GT. Current low-mileage 2012 C6 Corvettes are charging around $43,000. The Perana Z-One for sale here is listed on eBay for $125,999. That’s definitely too much money for a funny fish car with a funny name and a somewhat interesting yet ultimately uninspiring backstory about British and South African companies coming together, but it looks really soft on the inside.